I was in a chapel in Leon the first time I heard Denise Thiem’s name. 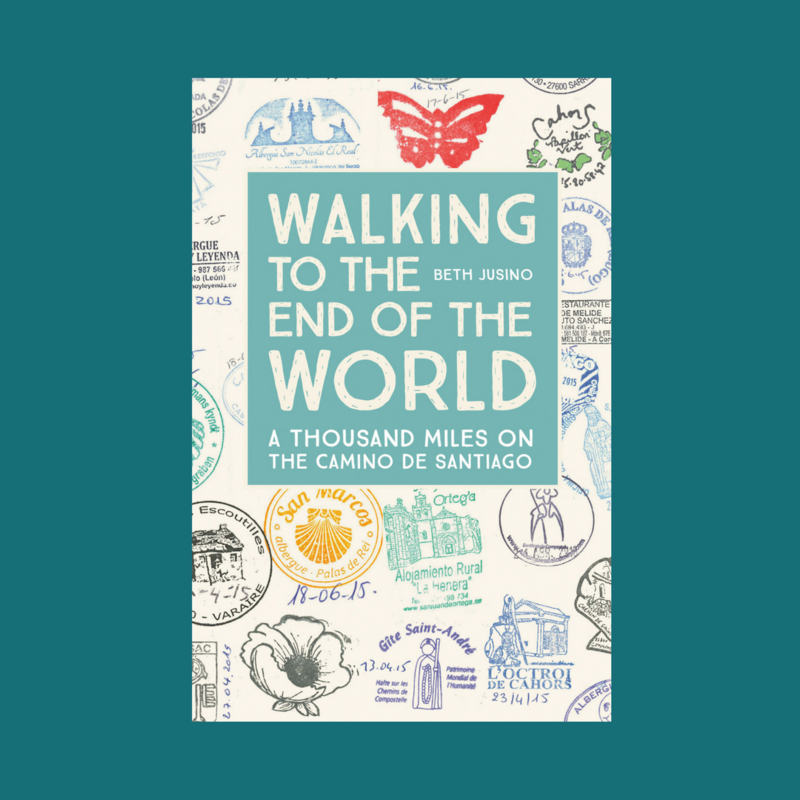 But Rachel was considering taking a bus past the section of trail she’d looked forward to hiking, which would mean she’d miss out on one of the most famous points of the Camino Frances, the Cruz de Ferro. And she wasn’t alone. Overnight, it felt, everyone was looking over their shoulders, suspicious of every quiet stretch of trail. In the summer of 2015, Denise’s absence became a part of all of our journeys. I broke my “no Internet” rule to do some reading, and learned that this time Radio Camino had it (mostly) right, and an American woman was indeed missing. She’d disappeared eight weeks before, on Easter Sunday, the same day that Eric and I flew from Seattle to Paris. She was single, a world traveler, and was last seen in Astorga. Then she’d just disappeared, and the media had jumped on the story. Two other women—one a Spanish local and one a German pilgrim—came forward with stories of being watched, or possibly chased, by unpleasant-looking men in separate incidents in the past few years. These, too, made international news, and the headlines made it sound like women were being accosted all the time. 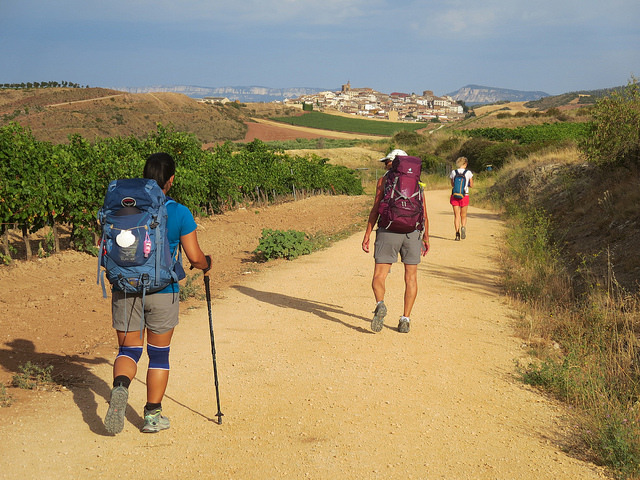 As we got closer to Astorga, we met more pilgrims who were skipping sections, or delaying their own walks to join the search parties. We heard about a few people who’d abandoned the Way and gone home early, afraid for their safety. This admittedly seems cold-hearted now,* but at the time I was underwhelmed. There had been no incidents since the disappearance, now months old, and even that was still wrapped in more questions than facts. I thought it was just as likely that Ms. Thiem had chosen to voluntarily disappear (I might read too many suspense novels), or there’d been some kind of accident. It felt like the media was hyping a danger that was no more than a possibility, and was scaring a lot of people unnecessarily. Instead, the rumors persisted. I heard at least four times that a body had been found, an arrest made. Some of the rumors came with graphic details. None of them were true. The stories are real, but they’re rare. There is, I’m told, occasional petty theft in albergues, and a handful of women have reported assaults over the past ten years. But when you take into account that a quarter of a million people will walk to Santiago this year, and almost half of them are women, by the numbers I am safer from violent crime on the Way of Saint James then I am in my own Seattle neighborhood. There are no reliable, pilgrim-specific statistics to back me up on this, but their absence should also tell us something. My best googling efforts come up with only one or two individual crime reports from any given year. (The best collective source of information seems to be the Camino Crime Watch forum here.) France and Spain are first world countries, with responsible law enforcement and low crime rates. But fear isn’t the same as awareness. Awareness pushes us forward, and turns our senses on, but so often fear is the thing that makes us shut down and holds us back, in measures far out of proportion to the real risk. …trust people who are from another country. One of the reasons I went on a thousand-mile pilgrimage in the first place was because I didn’t want my fears of the unknown, and how I would react to the world outside my cultural comfort zone, to hold me back. Sure, there was a possibility I would be a one-in-a-million statistic, but that was a risk of being alive, wherever I was. In 79 days I was never accosted or harassed, and I walked alone for a few hours of almost every day. None of the women I met along the Way were harassed or accosted. We walked through cities and wilderness, often relying on the grace and support of others. * In September 2015, a body was uncovered, and an arrest was made. Denise Thiem was a victim of a random, tragic act of violence, the kind that give us all nightmares. In light of that, I’ve considered and reconsidered writing about this, and about sharing my early reactions to the rumors. But at the same time, Denise’s story doesn’t change my conclusion. The amount of attention given to her death shows how unusual something like this is on the Camino. Denise Thiem was a woman who made a choice: to leave her job, to travel the world, to experience life. Honoring that, for me, means living as she did. Thank you for your honesty and expressing your confidence in taking this journey!